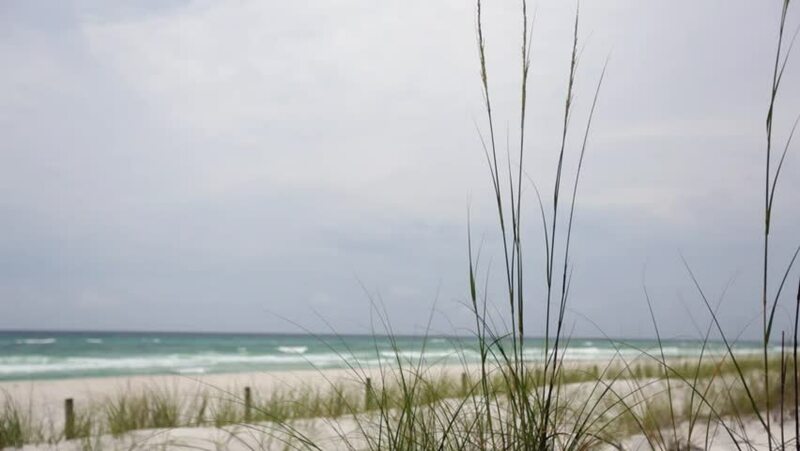 Sea oats swaying in the wind overlooking a white sandy beach and emerald green water. 4k00:22Camera pan on beach grass blowing in the wind on calm, blue sky day at the Oregon Coast. hd00:13Beach morning landscape showing a well traveled beach path and dry sea grasses, the sandy shore and sea with a blue and cloud filled sky. hd00:08Clouds over the sea while blue hour. HD. Timelapse.